Most of you have no doubt been following the results of this year’s competition pretty closely, and have been checking out the results for individual athletes. If so you’ve probably also been wondering about some of the incredible mileage recorded by some of these elite athletes, in particular by David Bowne of Jet City Tri. David, winner of the Bike Session, has as of February 15th amassed over 8,000 miles on his bike. That’s impressive. How can anyone log so many miles so quickly, you might ask. David has kindly agreed to share his story with everyone else competing in the National Challenge Competition. The NCC has filled a hole in David's life. Seven years ago, David was diagnosed with an illness and had to have a spinal cord implant. Doctors advised him not to compete in or train for marathons. Last year, David's 20 year old son was killed in a car accident. After the tragedy, he went to a therapist and was encouraged to start working out. David's teammate on Jet City Tri, David Bianchi, encouraged him to use the bike trainer. He started out slowly, riding only 5 miles at a time, but has increased his mileage to the point where he has now ridden 400 miles in one day. David wakes up at 4:00 a.m. and rides the trainer until 7:30 a.m. He then puts in a full work day and comes home to train again. Weekends are long as he has logged 100 miles on Saturday & Sunday, 200 miles on a Saturday and Sunday and 400 miles on a Saturday in one session. This year, the NCC has deeper meaning to the Jet City Tri team. The team is putting together $50 donations into a ‘winner take all’ competition, with the money going to the charity of the winner's choice. David is doing the competition in the name of his son, and if he wins (which seems likely!) his funds will go towards his son’s scholarship fund. David's motivation comes from his son’s love for sport. He is aiming to reach 10,019 miles by the end of the competition. The final 19 miles has a significant meaning as it was his son’s favorite number. In the future, David plans to compete in an Ironman race. As athletes and friends, we should all be encouraging and supporting David in his final mileage in the competition. For club reps (or athletes) entering mileage, you will have an additional 48 hours to enter miles for each session. Each session will close at midnight on the 2nd day after the official end of the session, based on your local time. This also means that you will not be able to add any miles for the bike or run sessions until after the 48 hour extensions are over. Please take care when entering your mileage! Anyone checking the standings without being logged in will see each session finish at one second past midnight Alaska time, but club reps who login will see the session extended. This year, as you probably already know, USAT has implemented a weighting system for swim and run miles. Since those distances are harder to accumulate than bike miles, each swim mile is worth 10 miles and each run mile is worth 3. Simple. Home page total mileage display: actual miles. This is the widget that shows total miles to date for all clubs. Widgets on the widgets page: actual miles. These are widgets you can embed in your own website with a few simple lines of code. Standings pages: weighted miles. Since the standings are based on the weighted mileage, these are shown that way. Team results pop-up windows: weighted and actual miles. In the standings page, click any team name to see an athlete-by-athlete breakdown of swim, bike and run distances. Both actual and weighted miles are shown. Statistics page: actual miles. The statistics page shows average and total miles by gender and age group. For the true tri geeks among us. A quick post to answer some questions club reps have been asking about how to enter swim and run distances. This year the swim and run distances will be weighted as outlined on the Rules page on the NCC site. Every swim mile will be worth 10 miles, and every run mile will be worth 3 miles. BIke miles remain the same, ie. they are un-weighted. The question is "should I enter the actual miles or the weighted miles when I enter distances for my club?" The answer is enter the actual miles your athletes swim (or bike) or run. The weighted distances will be calculated automatically, you don't have to do that yourself. You may enter your swim miles in either yards or meters. The distances will be automatically weighted and converted to miles for the team standings. Approaching T2! And Groundhog Day! The end of January is almost here, and you know what that means: another month of winter has been put behind us. For northern triathletes that is definitely something to celebrate, although it also means the beginning of February. Not exactly everyone's favorite month, is it? The end of January also means that T2 in the National Challenge Competition is coming up fast. Time to lift the hammer and let the bike legs cool down a little? Not likely. Given the results to date it seems more likely that all teams will be going full gas right to the line in order to secure the highest possible standing in the bike session. Of course there are no wobbly run legs to worry about when you don't have to go straight from the bike to the run, so feel free to keep the hammer down until midnight tonight. Again, we are keeping the session 'open' for mileage entries for 48 hours. 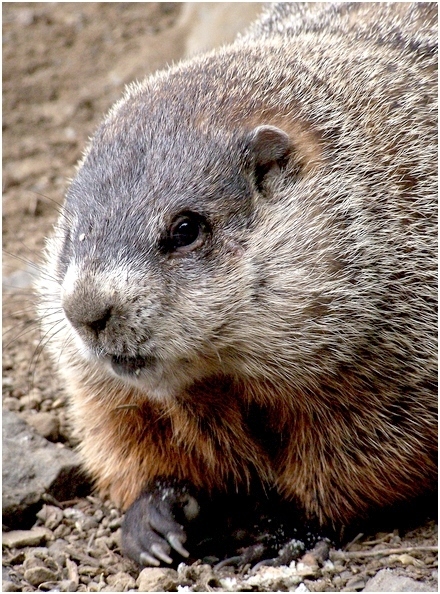 That means club reps have until midnight on February 2 (Groundhog Day!) to enter all miles for the Bike Session. For anyone else checking the site, you'll see the current session status change from Bike to Run, but you will not see any run miles until February 3. For club reps, just a friendly reminder that only miles accumulated during January can be added to the Bike Session, and only miles accumulated during February can be added to the Run Session. See you after Groundhog Day, folks, and let's hope the wee beastie doesn't see his shadow this year.